A new report highlights how major corporations can find their YouTube advertising running alongside racist and antigay content. YouTube videos promoting hate speech by white nationalists, Nazis, and conspiracy theorists — along with other nefarious creators, including pedophiles and the North Korean government — ran with advertisements for more than 300 major companies, organizations, and government agencies, according to a new investigative report by CNN. The news comes despite measures announced by the online platform to stop monetization of hateful content. Companies with advertising running on questionable YouTube channels include Adidas, Amazon, Cisco, Facebook, Hershey, Hilton, LinkedIn, Mozilla, Netflix, Nordstrom, and Under Armour, as well as U.S. government agencies like the Department of Transportation and the Centers for Disease Control and Prevention. Under Armour paused all advertising on YouTube until the situation can be rectified, according to a company statement. “We have strong values-led guidelines in place and are working with YouTube to understand how this could have slipped through the guardrails. We take these matters very seriously and are working to rectify this immediately,” Under Armour said in a statement to CNN. YouTube has not responded to inquiry from The Advocate on its advertising policies. The issue of hateful content on the site has plagued YouTube. The company last year faced an advertising boycott over allowing advertising to appear on videos many companies did not want associated with their brand. 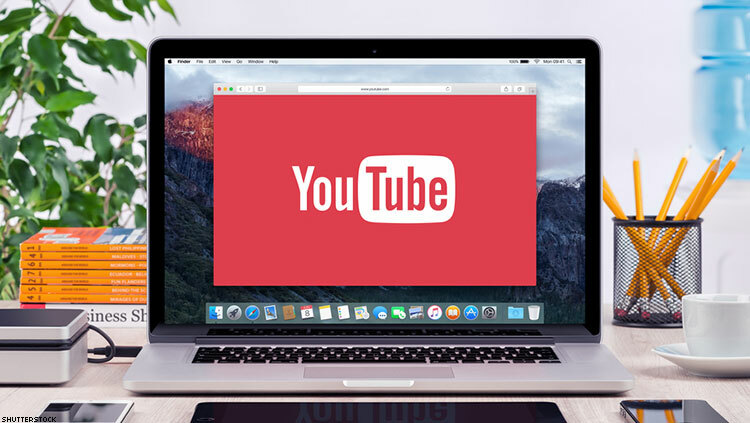 In December, YouTube CEO Susan Wojcicki announced new systems in the works to protect against violent or extremist content. And officials with the company told The Advocate then that revenue raised on content later deemed inappropriate gets credited back to advertisers. Earlier this week, the company again posted on its Creator Blog that it would continue to unroll new tools to identify objectionable content, while stressing the important of the site remaining an open platform for a variety of views. YouTube reportedly takes a 45 percent cut from advertising on the platform. That means YouTube has collected hundreds of thousands in revenue from advertisement on hateful speech. While Alphabet, YouTube’s parent company, took a $1 billion hit in revenue in the first quarter of 2017 amid an advertising boycott, the company finished the year with $110.9 billion in reported revenue, up 23 percent from the prior year. The company is expected to announce earnings from the first quarter of 2018 on Monday.